An enterprise-level CMS with virtually no limitations, Drupal is the choice for companies wanting to harness the power of 21st century, interoperable Web 2.0 technology. Advanced API support, reliability, and scalability make Drupal a top choice for large brands looking to engage their customer bases. We’ll help you unlock the potential of this comprehensive content management system, and watch your profits and customer base grow. Drupal is a fixture in corporate web administration because of its seamless and powerful integration capabilities. There are truly no limits to what Drupal can do for your company website. 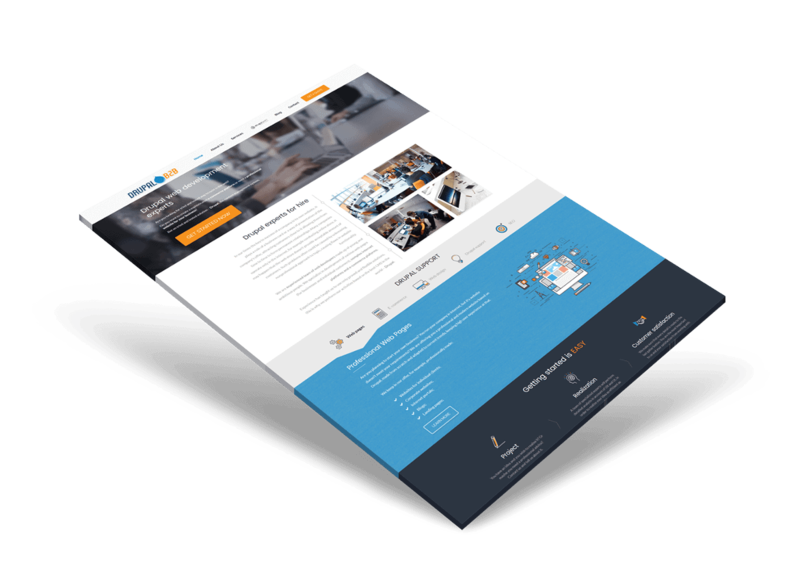 Users are treated to responsive content that is powered by HTML, PHP or whatever programming language is necessary to bring your ideas to life. There is definitely a learning curve to maximize the full potential of Drupal. Our web designers have years of experience programming in Drupal and will work with you to create the user experience for your customers. Due to the vast features and complexities of Drupal, it’s not a content management system that is suitable for beginners. We assign a dedicated web designer to your project who directly works with you from the brainstorming stage all the way until the website goes live. Your Nxt Gen Web specialist keeps you up-to-date on the development process, suggests solutions, and continues communication with you to ensure your visions is being manifested exactly the way you imagined. Let’s get started today. Search engine algorithms change almost daily. The flexibility of Drupal keeps your content organized for easy discovery. Your finished website will truly be a custom, personalize representation of your company due to streamlined integrations and manageability. Drupal websites are 100% responsive and will display quickly and correctly regardless of operating system, device and browser. Enterprise-level companies flock to Drupal because it integrate everything from social media to analytics seamless and efficiently. There are literally no boundaries as to Drupal’s capabilities. Your unique ideas have the potential to set standards in your industry. The user experience Drupal offers keeps customers engage from the point of entering your website all the way to checkout. WEB 2.0 IS HERE. ARE YOU READY? DRUPAL IS THE 21ST CENTURY CMS THAT IS CONTINUALLY EXCEEDING CUSTOMERS’ TECHNOLOGICAL EXPECTATIONS. Enterprise-level companies are continually trying to keep up with what the competition is doing and the technology available to make it all happen. Drupal is the CMS that harmonizes server and client-level software to create results-oriented eCommerce experiences. Our team works with you to pinpoint your customers’ desires and expectations, and turns that into a Web 2.0 user experience that promotes engagement and conversions.